Hope you're having a great day/night!! 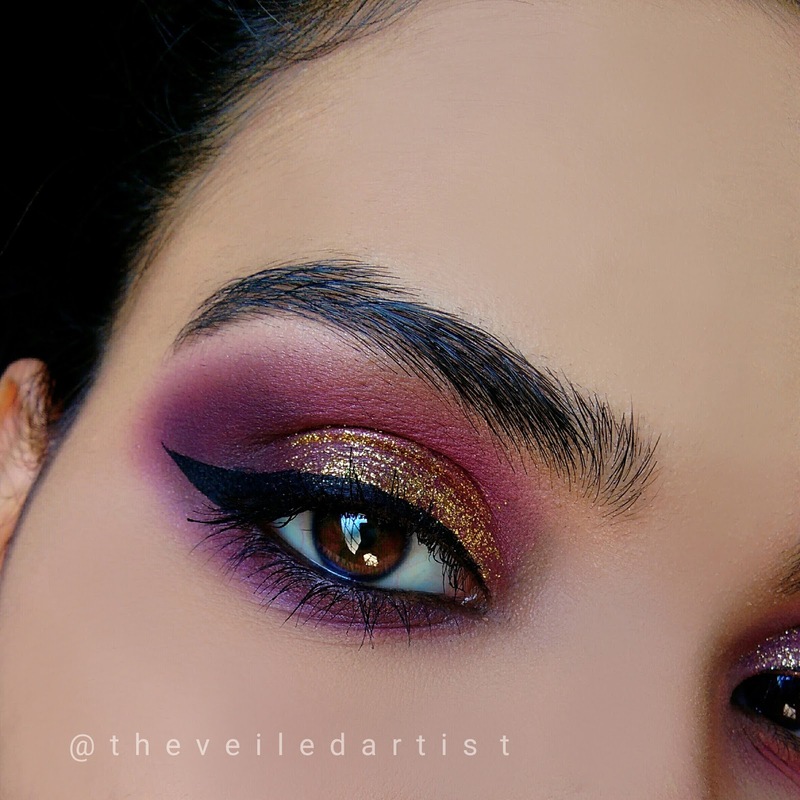 I was feeling quite adventurous with my makeup today so I came up with this gorgeous glam smokey eyes with glitter! 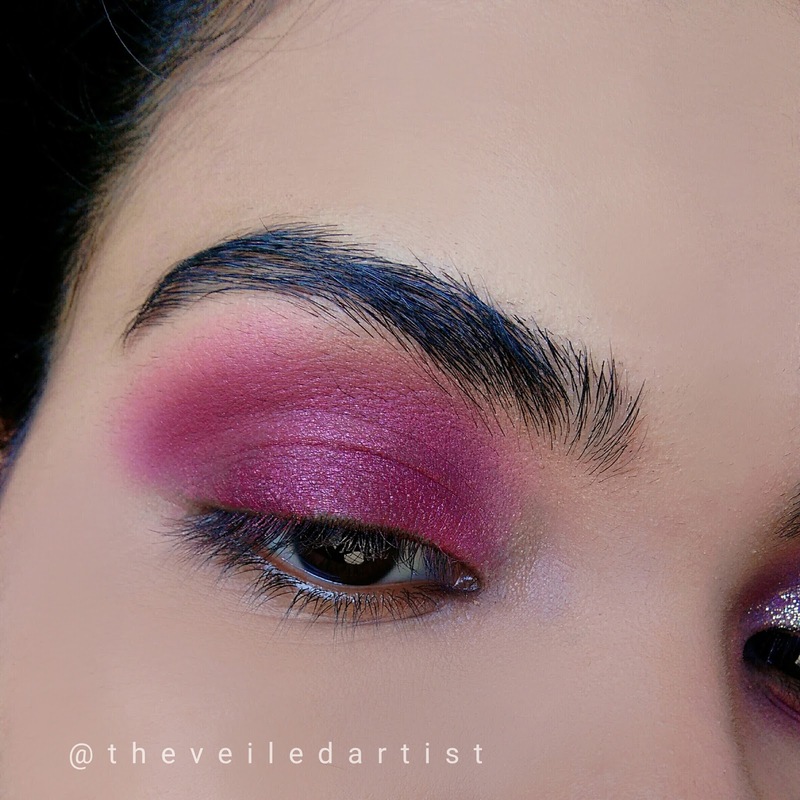 This is probably the first time I've used glitter all over my eyelids and I'm in looove! 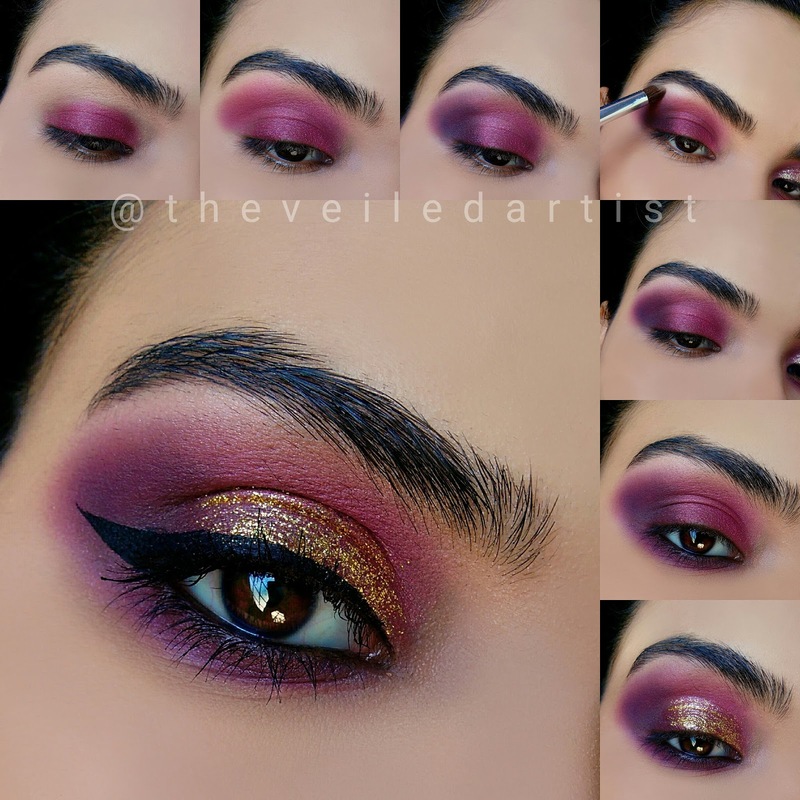 Scroll down for the full step by step tutorial! Prime your eyelids. 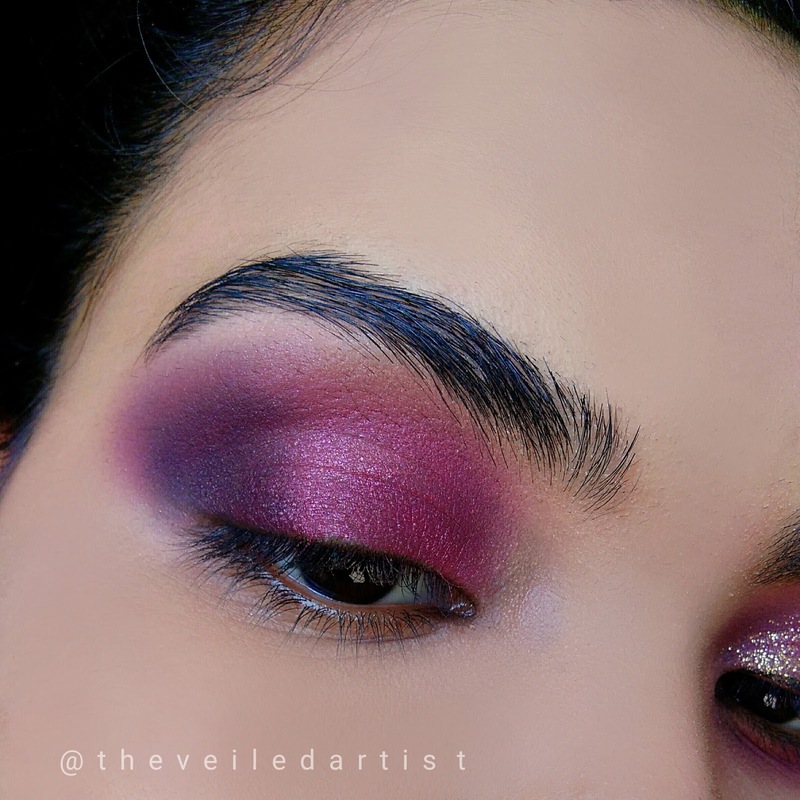 If you don't own an eyeshadow primer, you can simply use your concealer or foundation all over the eyelids and set it with some powder. 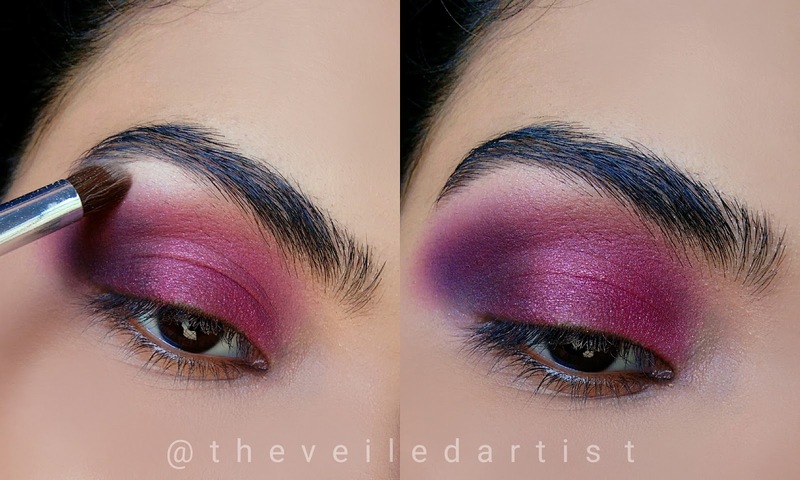 This step is just to ensure that all of the shadows blend out easily and also last long! Tip: do your eye makeup first. Especially when using glitter so you can easily remove the fallout with a makeup wipe and do your foundation routine. 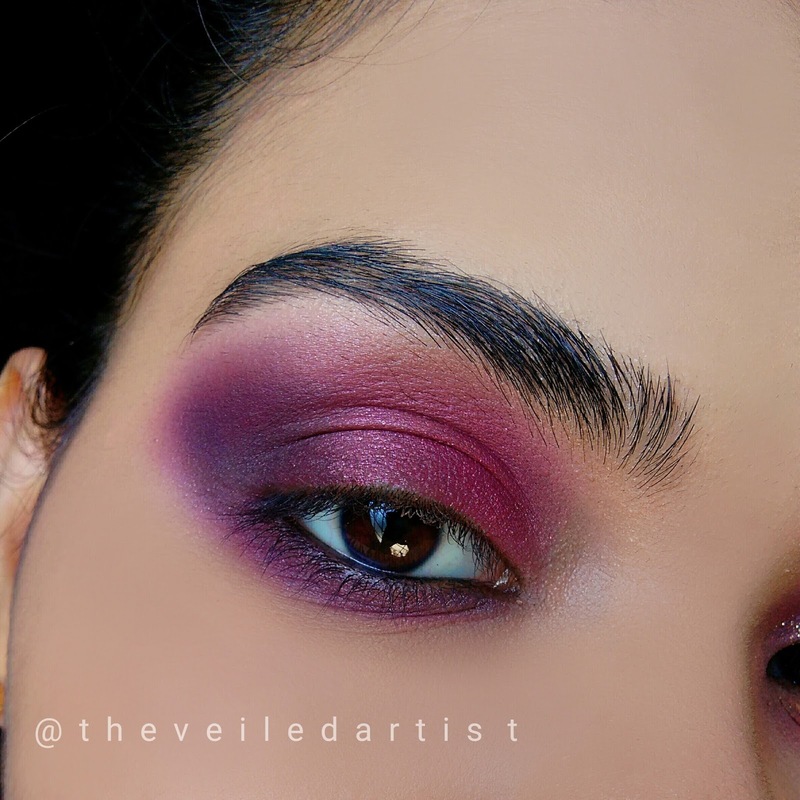 Blend some dark pink or burgundy shadow all over your eyelids. 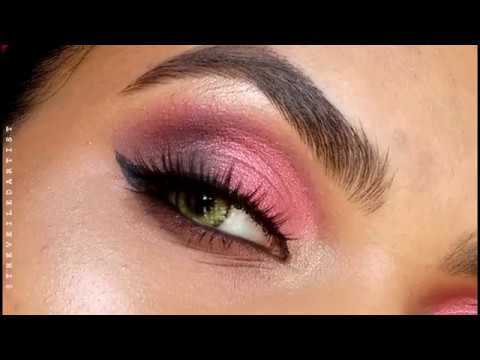 Blend a matte pink shade into the crease and a little above it as well. 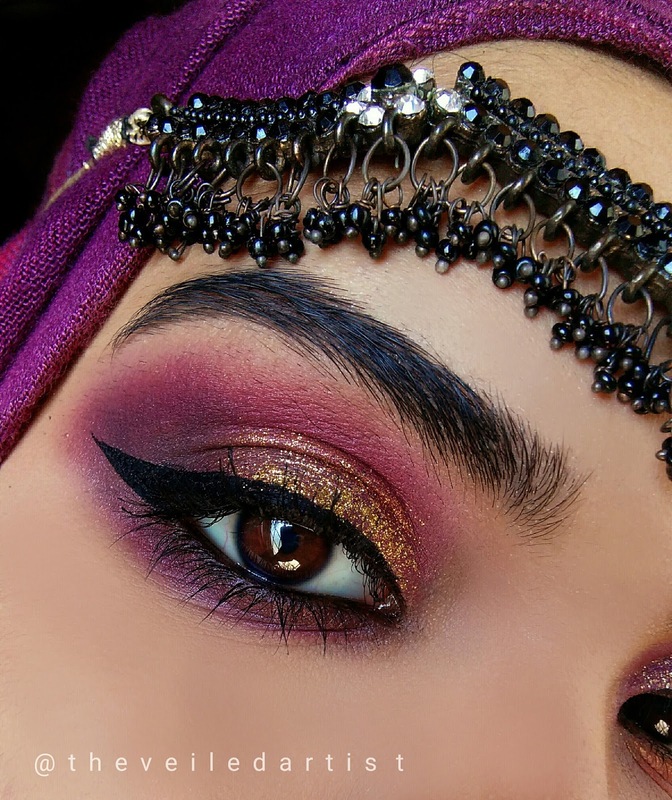 Blend a black eyeshadow starting from the outer half of your eyelids and into a v shape towards the outer corner. Use a dark brown shadow for this step if you have very light skin as black eyeshadow can look a little too harsh. Highlight your brow bone with a matte eyeshadow or a powder foundation that is a few shades lighter than your skintone. Line your lower waterline with a black pencil eyeliner. 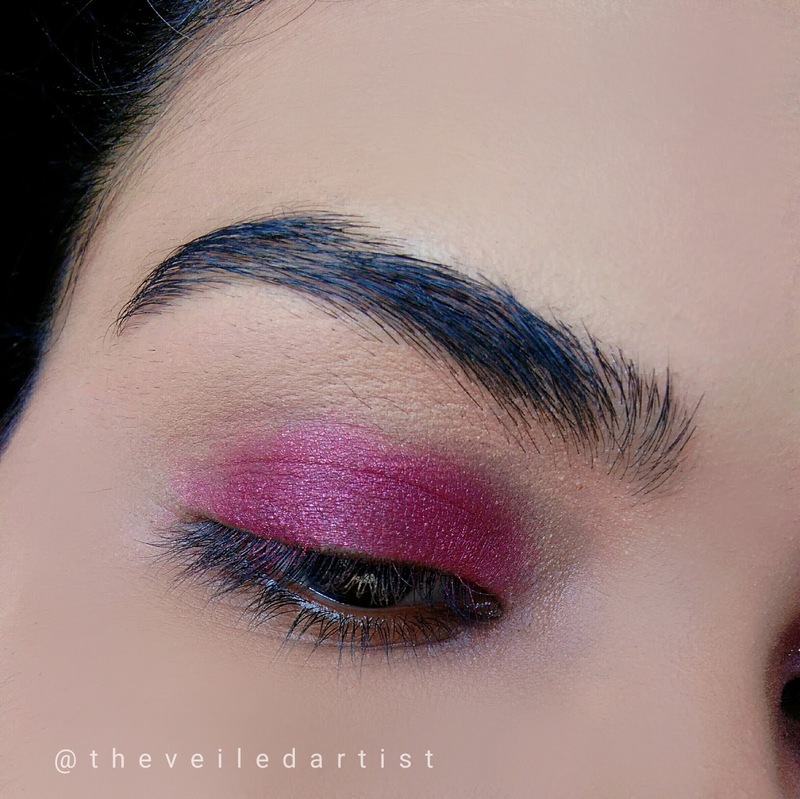 And blend the same dark pink shadow we used all over the eyelids on your lower lashline, connecting it to the v shape we created on the outer part of the lids..
Now for the fun part!! 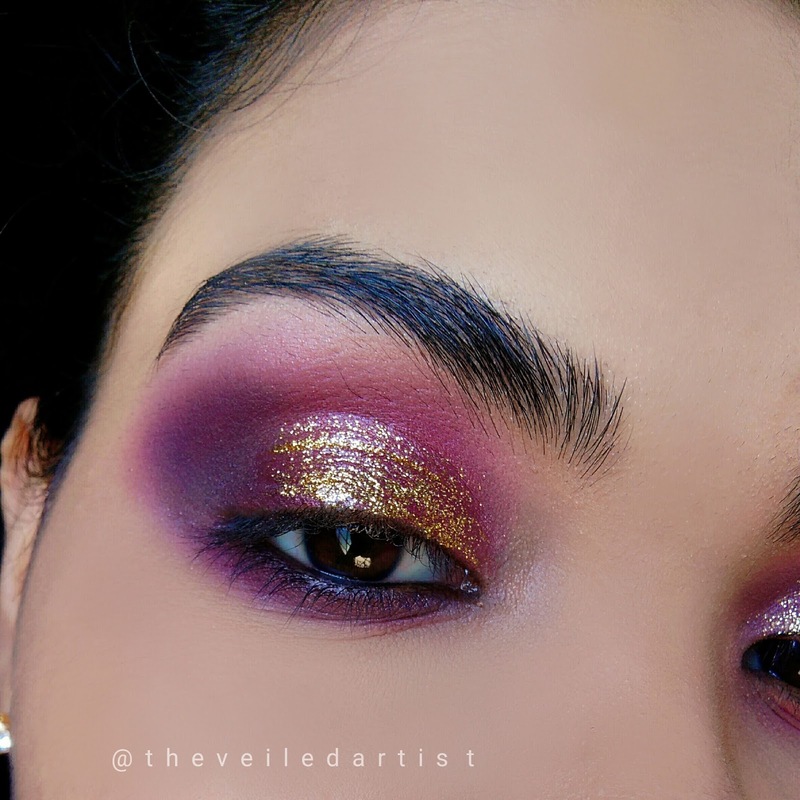 Apply the gold glitter to the inner 3/4th of your eyelids. I used la colors glitter eyeliner in firefly. You can check my review on it here. I had to reapply a few times to get it to look as shiny as I wanted it to be. You could just leave the look the way it is, and just curl your lashes and apply mascara and be done! But I had to add some winged liner to make the look even more dramatic. Told you I was feeling adventurous haha! And you're done! Scroll down for the Pictorial! Hope you guys enjoyed this tutorial!! and if you're on a mobile, scroll down for the follow button. And if you follow by email, you will get the entire article right to your inbox every time there's a new post up!